The sit in is part of the Sunrise Movement’s plan to create an “army of young people to stop climate change and create millions of good jobs,” according to the group’s Twitter bio. The group is demanding Democrats back their petition to rapidly “green” the economy to fight global warming. BREAKING: we’ve begun a sit in inside @NancyPelosi’s office because @HouseDemocrats have failed our generation time and time again. “How is @NancyPelosi going to respond to the young people occupying her office for a #GreenNewDeal right now?” Sunrise Movement tweeted on Tuesday. This summer, a GOP candidate called 18-year-old Rose #youngandnaive for demanding he refuse fossil fuel money. Movements should care about elections, because we can elect people who will fight with our movements. Right now, @Ocasio2018 is sitting in @NancyPelosi’s office with a huge crowd of young folks demanding a #GreenNewDeal & the just climate solutions we need. 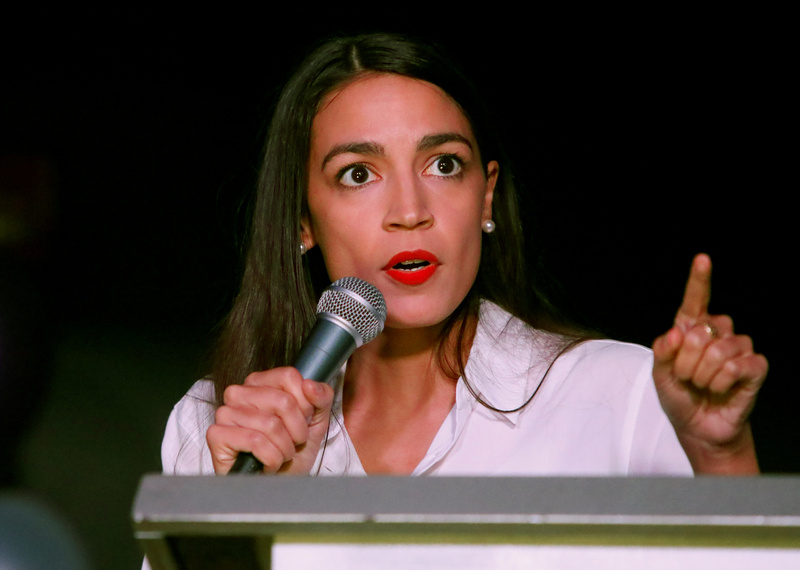 “[T]he Green New Deal believes that radically addressing climate change is a potential path towards a more equitable economy with increased employment and widespread financial security for all,” reads Ocasio-Cortez’s campaign website. Ocasio-Cortez, a member of the Democratic Socialists of America, beat Republican opponent Anthony Pappas in November’s election, and will represent several New York City neighborhoods. Pelosi said the committee would “‘prepare the way with evidence’ for energy conservation and other climate change mitigation legislation,” she told The New York Times at the end of October. “Pelosi said it was clearly still needed to educate the public about the impact of more frequent extreme weather events,” TheNYT reported of Pelosi’s interview remarks.